As much as I love the fall season (yeah, it’s my favorite season), I hate to see summer go. It’s that moment in August when you get this one odd cooler day to remind you that the Earth is still spinning around the sun (at least here in NYC) and the more colorful fruits and vegetables will begin to dwindle. What will I do without my bi-color corn? What will happen when I am in need of perfectly ripened tomatoes (I’m covered with the canned variety)? 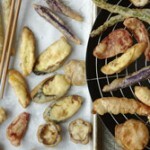 How will I grill summer squash with no summer squash? Luckily, we’ve developed an amazing transportation system to import these goodies from all over the world that allows us to taste most produce all year long. But alas, it’s just not the same. When you frequent the farmer’s market like I do, you notice when produce is at its peak. Eating locally helps sustain the environment and it incentivizes smaller farmers to grow without pesticides and GMOs. As early humans, our bellies were always full in the warmer months, and hungry in the winter. It’s certainly not the direction I want to go, but it just makes sense. 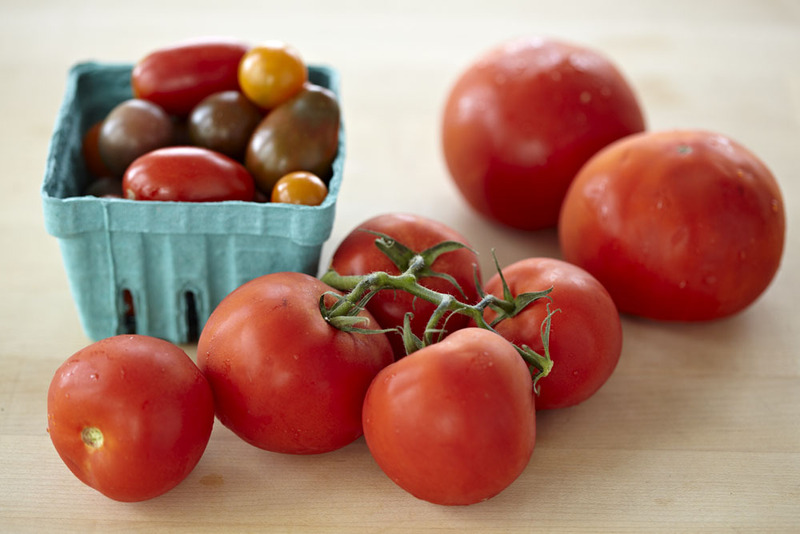 Imported pale tomatoes in the winter are flavorless compared to peak season bright heirlooms. So that’s where my summer gorging begins. 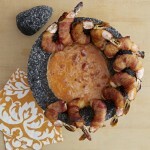 Delicious Recipes for a Summertime Skewer Party! Hot weather calls for hot recipes! Whether you are at the pool, at the beach, or just at home with friends and family, a hot, delicious meal will always make your summertime more enjoyable. 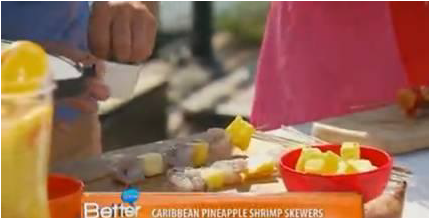 Chef George Duran can show you how to prepare a delicious summertime recipe in minutes that will leave you and your family wanting more. Bring the Caribbean to your home by preparing George’s Pineapple Shrimp Skewers, this delicious recipe is very easy to make! Simply use the IMUSA Bamboo skewers so you can prepare them on the grill. You can also try the Grilled Sweet Potato Skewers for a different taste. IMUSA USA was a proud participant of the “Christmas in July” open house media event that recently took place in New York City. 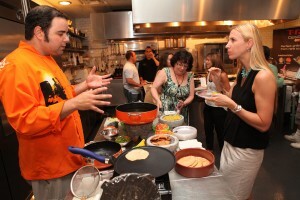 The all day event included a mix of product demos by Chef George Duran. Delicious home-made Chipotle-Corn Tortillas were made using the IMUSA Tortilla Press, which shortly after were turned into crispy tortilla chips using one of the IMUSA non-stick Calderos. 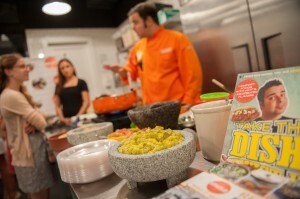 Along with the tortilla chips, Chef George Duran prepared his famous Mango-Guacamole using IMUSA’s Granite Molcajete, talk about deliciousness! During the event, George had face-to-face meet & greets with media representatives from various important media companies such as People Magazine, Cosmopolitan, GQ, Food Network Magazine, Vogue, and The Oprah Magazine to name a few. They were all delighted to get a taste of George’s favorite recipes and also to see how IMUSA Products such as Salsa Dishes, Calderos, Tortilla Warmers, Lemon Squeezers and Comals were put to work. The event also included sample giveaways and a product display area which featured select Imusa products. Summer has already gotten the better of me. I vowed at the beginning of the season that I would put our nice new Weber grill to good use; grilling fish or lean chicken and veggies every night followed by a brisk walk with Bayfield (our 10 year old yellow lab) after dinner. Well it’s halfway through July and I can count on one finger how many times I’ve made that happen. I also vowed to drink some green juice every morning and well… we won’t get into negative numbers here. My yearning for lean protein and judicious amounts of fresh fruits and vegetables has been side tracked by one too many meals out, several sushi runs, and yes, even the occasional visit from our favorite pizza delivery guy. The summer season is all about lighter recipes. It is the most carefree time of the year and includes lots of outdoor entertaining, trips to the beach, and in Miami, a whole lot of skin. There are few things better than reclining on a beach chair and looking out at the ocean waves while sipping a summer cocktail like a margarita or piña colada. Pure heaven right? Not really. A standard piña colada can have as many as 750 calories! That is a whole lot of pineapple and coconut cream, and rum, and a cherry on top. Summer and a 750 calorie anything is NOT a good idea. If we really want to keep our bikini bodies looking great this summer perhaps we should just forget those tasty summer cocktails altogether right? Wrong! 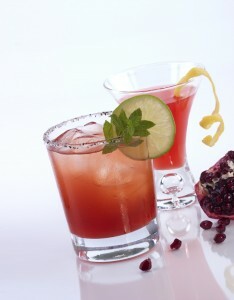 So many popular summer cocktails can be made lighter and even a little healthier by using fresh squeezed juices . I created this delicious libation by incorporating fresh squeezed blood orange juice and a touch of agave. 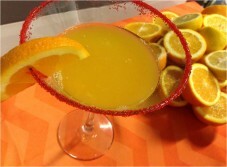 My very light “Skinny Blood Orange Margarita” will keep you happy and refreshed throughout the summer season. 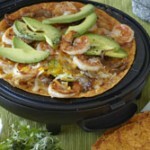 And most importantly, it will not wreak havoc on your waistline. Cheers to summer! Using the IMUSA citrus juicer squeeze the lime and blood orange juices and set aside. Pour some salt onto a small plate. Using the just squeezed lime half and run the wet edge along the rim of your glass. Dip the top of the glass into the salt. Carefully add ice cubes to your glass and set it aside. Fill a small cocktail shaker with ice. Pour in the tequila, freshly squeezed lime, blood orange juice and agave nectar. Shake for 15 to 20 seconds. Strain into your glass and garnish with a slice of blood orange. When you consider that 4th of July is perhaps the most popular outdoor holiday in the US, our choice of refreshing beverage tends to be one-toned. Quite often the drinks that are served are pretty much bottles of beer (yaaaawn!) and even though we may put plenty of effort on what’s on the grill, we fail to put any thought on the liquid portion of our Independence Day menu. My mantra during the 4th is to always bring out what’s in season. After all, we are in the middle of Summer and at the peak of what warm mother nature can offer us in the US without having to import it from the southern hemisphere. And when it comes time to make refreshing drinks during the sunny days of July, I instantly dream of the wonderfully mouth-watering world of citrus! The bright colors of oranges, lemons and limes take me to sweet paradise. Knowing how to properly mix these juices into fruity cocktails will make you the most popular host on the 4th of July. But first we must learn that simply purchasing a carton of OJ ‘aint gonna cut it. Yes, they may advertise that it’s “pure orange juice”, but face it, squeezing the juice straight from the source makes a world of a difference. That’s why “fresh squeezed” is a marketing ploy and should only be considered when it’s literally freshly squeezed right before you consume it. My drink of choice is my orange-citrus martini that is made from seriously fresh squeezed oranges and lemons. 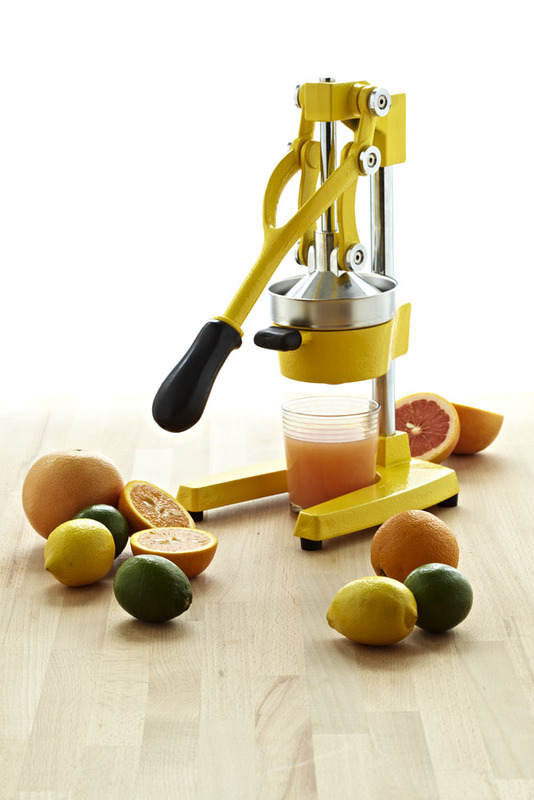 I use IMUSA’s citrus press to get the most juice out of every orange and mix it properly with (again, freshly squeezed) lemon juice, orange liquor and gin. It’s a cocktail that forces you to sit back and take in mother nature as it was intended. For the kids, I omit the alcohol and add some colored sugar to the rim of tumbler glass to sweeten things up a bit. And for the adults, my martini glasses come out to celebrate. A celebration of Independence as well as the natural sweetness that nature offers us every 4th of July!